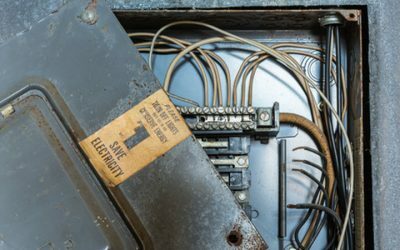 When it comes to replacing a main breaker in your home, it may feel like an overwhelming and expensive task, and you likely want to be sure that is your only option before you move forward to schedule the electrical services. Finding an electrician you can trust can help you to decide whether main breaker replacement is your best option, but you may also want to learn the basics yourself so you can make an informed decision on your own. What Are Circuit Breakers, and How Do They Work? Circuit breakers exist to keep the home’s wiring from getting overheated or catching on fire. The necessary size of the breaker for a home depends on the wiring size as well as the expected electricity load that it will support. When the circuit breakers are in a closed position, they conduct electricity. However, when the flow of electricity (measured in amps) goes beyond what the breaker can handle, it trips or opens. This activity “breaks” the circuit and stops the energy from flowing. You can reset the circuit breaker by closing it, but repeated tripping and the need to reset the circuit over and over can wear down the breaker, which can end up reducing its capacity. What Is the Main Breaker? The main breaker is the circuit breaker that serves as a safety feature to protect your electrical panel from overload. Overloading can then lead to overheating, which is obviously a fire hazard. This breaker is usually located at the top of the smaller circuit breakers in the electrical panel. Some main breakers are locked in place, while others snap or slide in. The main breaker serves to turn on and off power that is incoming to the home. Without a well-working main breaker, you will likely have major power problems, and it may even shutdown altogether. How Do You Know If Replacing a Main Breaker Is the Only Option? If you are noticing several of the signs above, it’s time for a main breaker replacement. If you are only experiencing one or two symptoms, you may just need some repairs. However, in either case, you need to call a professional electrician for an appointment immediately. An expert will be able to assess the situation and determine exactly what is going on and provide you with a plan of action to get your electrical services running smoothly and safely once again. Do you have questions about replacing main breaker in your home? Contact our team of electrical experts at Bryan Electric today to get the professional assistance you need.